Production stills from the first episode of Medici: Masters of Florence – Original Sin have now been added to the gallery, and some of the unsorted stills have now been placed in the correct album. Stills from episode 2 will be added soon as well, stay tuned! Follow the site on twitter @RMaddenFan! On Friday, October 14th, Richard attended the world premiere of his new series Medici: Masters of Florence at Palazzo Vecchio in Florence (Italy). He looked really handsome in a Giorgio Armani suit, and now several photos from the event have been added to the gallery. The series premiered last night on Rai1, the italian network that produced it. Hopefully we’ll be able to add caps soon! 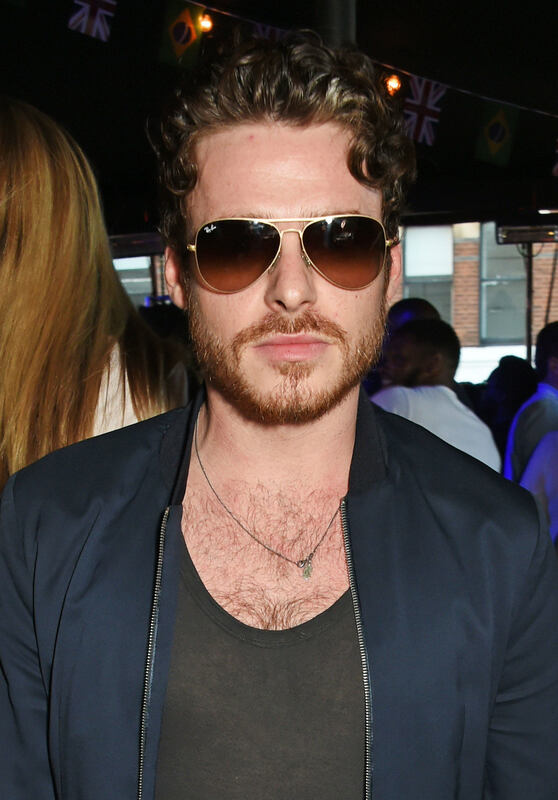 In the meantime, enjoy the gorgeous Richard at the premiere! 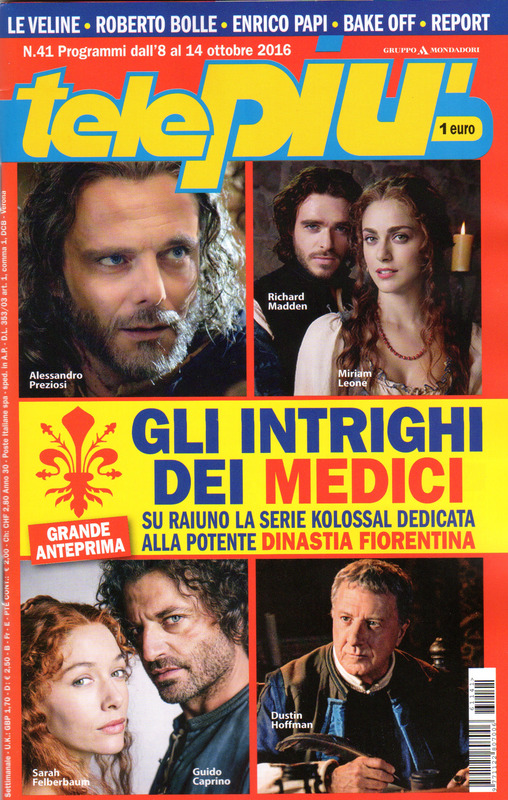 Medici: Masters of Florence is featured in the italian TV guide TelePiù. Scans from the magazine have now been added to the gallery! Hopefully more articles will come up during next week. Stay tuned here and on twitter @RMaddenFan! 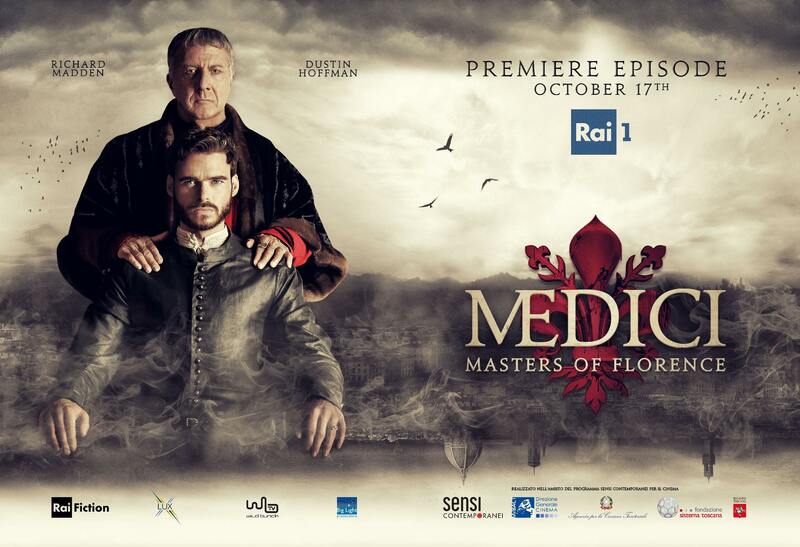 Medici: Masters of Florence is gonna have its premiere two weeks from now – on Monday, October 17th on Rai 1 (italian network). On Friday, October 14th – the worldwide premiere event for the show is going to be held at Palazzo Vecchio (in Florence, of course), and Richard is set to attend! 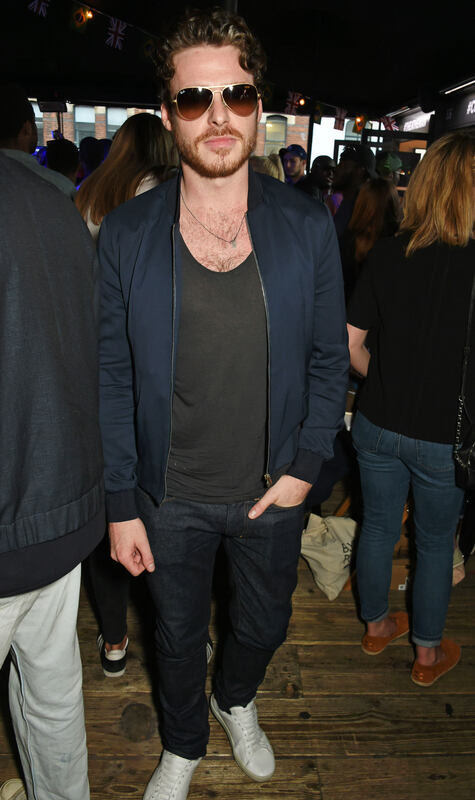 Back on Sunday August 14, Richard attended the launch of the new Idris Elba + Superdry Boxpark retail space in London. Few photos from the event have now been added to the gallery, enjoy!